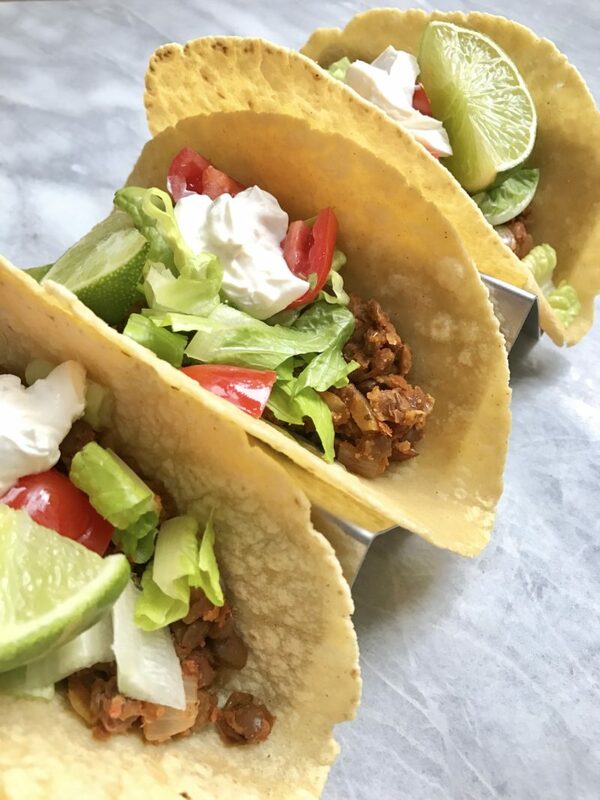 Make Taco Tuesday everyday with these delicious and easy tacos using lentils! Tacos. Who doesn’t love tacos? They’re delicious, versatile, and easy to make! If you know me, I love lentils. I love using them as a meat replacement in many dishes because they’re hearty and full of protein. It makes it so easy to still eat comfort meals without having to eat any meat. 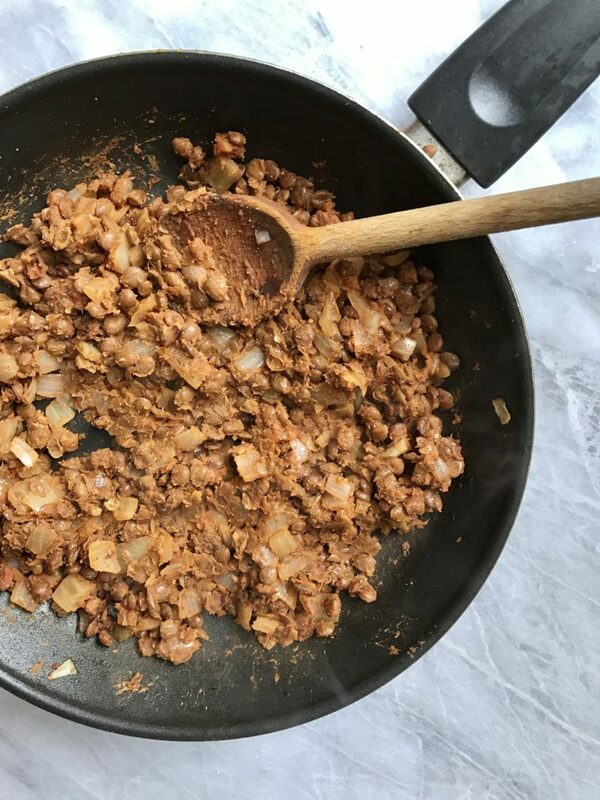 Lentil taco meat has officially become my obsession. When I do recipe tests I normally have leftovers that last a few days. However, with this lentil taco meat, it was gone within the day. I ate it for lunch, dinner & even ate it on chips. Not only are these delicious, but they’re just so easy to make. You guys know I live for easy recipes with limited ingredients and zero insane steps, so these are just up my alley. There are so many advantages of being Vegan and meat free, and easiness is the prime factor in my eyes. 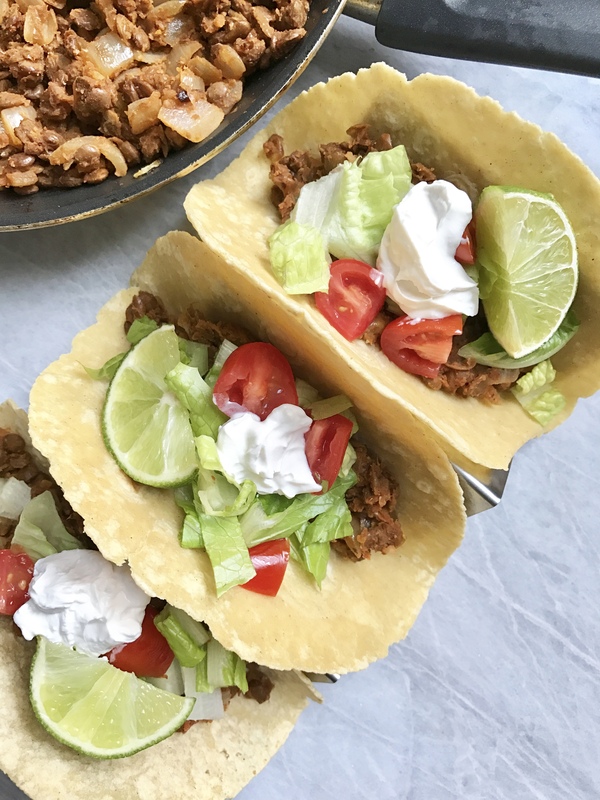 Bring Taco Tuesday back the healthy and delicious way! Chop up your onion and wash & drain your lentils. Heat up a skillet on medium heat and add a little water. Sauté your onions until translucent. Add your garlic and cook for another 2-3 minutes. Add your lentils and mix around for 1-2 minutes. Add spices and tomato paste and let cook for an additional 3-4 minutes. Take off heat and serve! Makes around 5-6 tacos. What tortilla do you use for this?